If our memories serve us well, it was precisely this time last year when Mango started to ramp up its fashion game to become one of the strongest competitors on the global high street. The retailer switched its aesthetic and delivery times around, and it has blazed a social media trail that burns brightly 24/7, thanks to its ever-growing #MangoGirls hashtag. 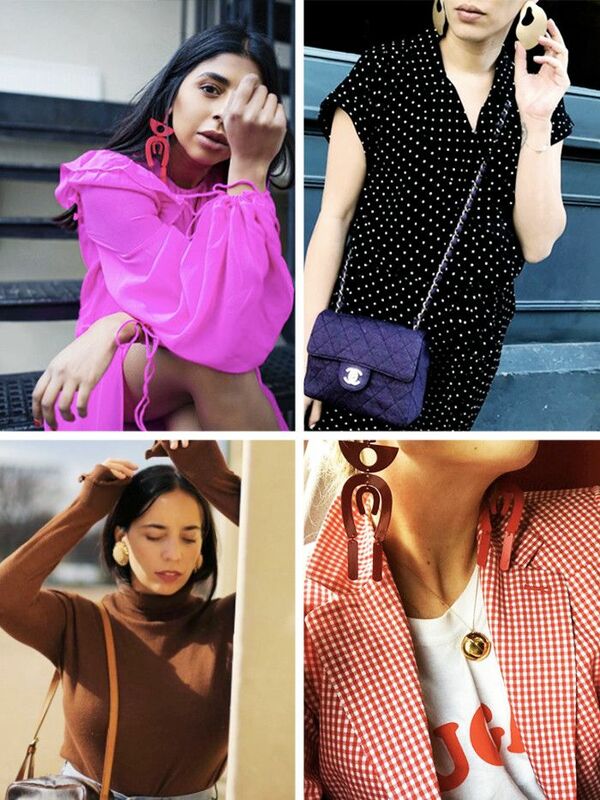 From France to England, and America to Italy, there is no shortage of OOTD snaps complete with a Mango hashtag—and we've seen certain key items flare up on our feed only to sell out mere seconds later. Take the recent checked coat phenomenon or those orange shoes from last year. Even with hundreds of items in stock, there are particular designs that will really capture the style set's imagination as a whole. However, right now it's less of one exact buy and more of a general consensus: Mango's earrings are really, really fantastic. Starting at a very reasonable £10 and rarely going past the £16 mark, is it any great wonder that these statement jewellery buys have been infiltrating Instagram in droves? There's no quicker update than that of a head-turning pair of earrings (just refer to our spring accessory trend guide for further confirmation), and the Spanish store's directional designs are really doing the trick. From sculptural mobile-like drops (the red style pictured above have been so popular that they're now sold out) through to giant clip-on flowers, there's a bold option to suit everyone. So which of the below pairs gets your shopping vote? Scroll through to see our edit of Mango's best earrings. They're enough to make you want to cut your hair really short. These come in three colours. Good luck deciding! So much personality packed into a pair of earrings. So perfect to wear with your work shirts. They're really 3D when you put them on. These look like they could be vintage. Add these to a black dress, and watch them work their magic. Scoop up your hair, and wear these to a party. Also available in gold. Definitely worth getting both. The holiday earrings you can wear now. Take it back to the '70s with these swishy guys. Next up, how to start layering clothes like a pro.